The alarm chimes softly at 3 a.m., Special Agent Nicole Strong looks at the time and confirms it is time to get up. She jumps up and silently urges Murphy and Elfie, her two dogs, to get ready for their morning run. She looks forward to these early mornings, where she can be at peace and one with the world and herself. She dons her running gear and after a swig of water and her probiotics, she’s out the door. She checks the rainy sky and determines it may be a quick one as the clouds loom even in the early morning sky. As she winds her way down the country roads near her home just outside of Houston, she contemplates what she will accomplish today, and how she will meet her goal: promoting the good work of ATF. She pushes the work thoughts aside and thinks about enjoying the run and debating whether she can still fit in hot yoga and the gym since she has to host the visitors from headquarters today. As she arrives home, she checks her work email account and determines she has time and starts to ready herself for her next two hours of exercise. Nicole has a personal goal of completing 100 marathons in her lifetime, she is close at 85 and these morning runs count as she continues to train. With two second degree karate belts and countless other awards, this marathon goal is just one of many. 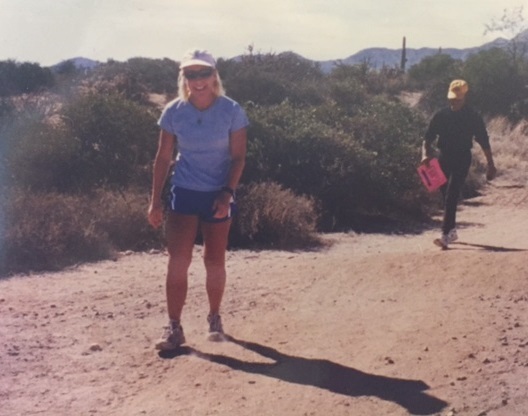 She has a photo of her first 100-miler in Arizona to remind her of the hardest day and what it took to survive it. No day at ATF will be as hard because they won’t measure up to just how difficult it was to complete that 100-miler in that heat. That was almost 15 years ago, but it still remains her toughest day. As she completes her morning routine, she makes sure to wear blue. Today she is also hosting the Citizens Academy and she wears blue on those Wednesdays, because it just makes sense. 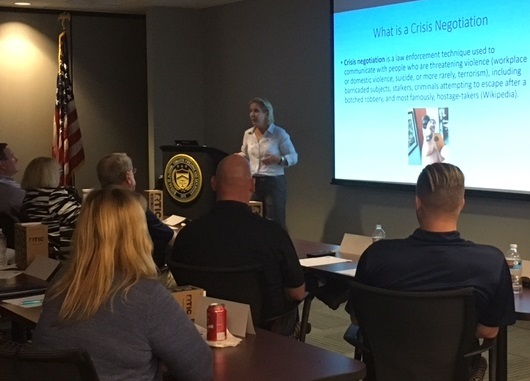 The Citizens Academy is an annual event for local community, religious and civic leaders, and organizations to interact and talk directly with ATF and participate in hands-on activities related to ATF’s areas of investigative responsibilities. She looks at the clock, just past 6:30 a.m., she completes putting on her makeup. Nicole hates wearing makeup, but she has a full day ahead of her and she will be representing ATF on many fronts and it’s better to add an extra coat of armor…or something. She eats her breakfast and makes her lunch all while checking her email, the rest of the world slowly wakes to join her. She talks with her husband and absentmindedly plays with the dogs while ensuring that she prepares for the day ahead. Special Agent Nicole Strong, is the Public Information Officer (PIO) at the ATF Houston field division, but she wasn’t always the PIO. Prior to Houston, Nicole was in the Phoenix field division as a street agent, investigating cases, and like all ATF agents she focused on the worst of the worst – the violent crime elements of society. 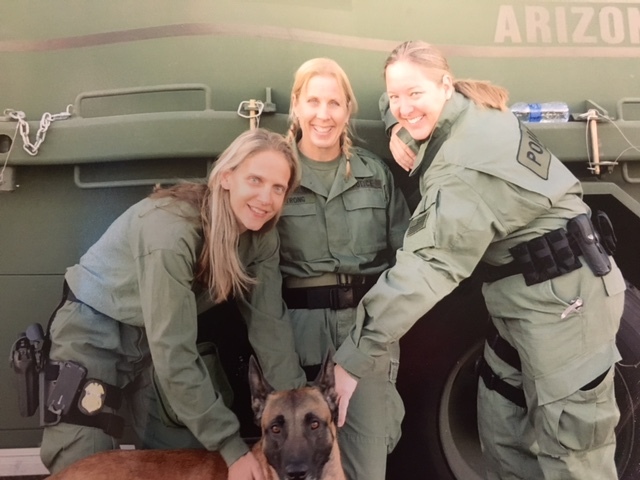 She was also the team leader for the negotiation team for the special response team (SRT), ATF’s elite response team specially trained to respond to violent crimes with especially bad criminals. She has been in a male dominated field all her career, so it is no longer a facet of the job that phases her, if ever it did. Instead, Nicole has always been the sort of woman, the sort of agent that rises to any challenge presented to her. She sees herself as agent first, woman second, because she has such a strong commitment and loyalty to her agency. She loves her job, she loves her mission; her greatest satisfaction is seeing ATF being presented in a good light, showcasing the good work ATF does and not the inaccuracies that tend to flood the narrative. She often has to fight the impression that she isn’t doing much work because she makes it look so easy. She doesn’t brush that perception away lightly, but she doesn’t let it stop her. She uses it as motivation to keep her to her mission, which is promoting ATF, which is the ultimate goal. As Nicole arrives at work at 7:30, she cements her 16-hour day and accepts that almost every minute of it will be dedicated to her goal. She walks into her office on the third floor of the ATF Houston building and takes a deep breath and goes, and goes and goes. Houston’s NBC station is coming in to cover a story about unfinished receivers. Unfinished receivers can be made into fully functional firearms and have become increasingly troublesome to track when they turn up in crime scenes as they do not have serial numbers. Nicole has researched not only the case, but what others have said about the case, the laws covered in the case, the implications to society, so she can develop talking points and key messages for the field division. Nicole starts first with the Special Agent in Charge (SAC) of the Houston Field Division, Fred Milanowski, working on an upcoming story for a local news station. She preps him on the key messages and the key aspects of the adjudicated case they will be discussing and what to expect from the interview. She tells him of the potential reach and how this story can help distill the myths people have about ATF. She then prepares for another story, this one with the Houston Chronicle, who will be interviewing Bill Buford who was the agent in charge of Operation Trojan in Waco, TX in 1993. She then welcomes the visitors from HQ who are there to talk to her about her work with pioneering Houston’s Citizens Academy. As she discusses briefly what the Citizens Academy is, a National Integrated Ballistic Information Network (NIBIN) contractor enters her office and asks a quick question. She does a brief introduction to Austin, a former Arlington, Texas based cop and he leaves the room. The HQ team finds out later that they had just met her husband. She continues her meeting with the visitors briefly and then returns to her emails while they go to lunch. 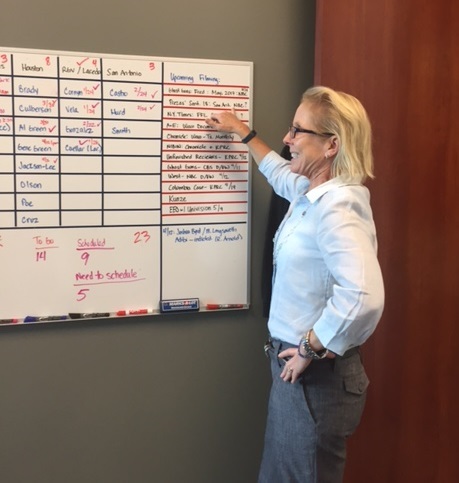 She works hard to ensure all calls and emails from local reporters are answered, while she frequently glances at her whiteboard that lists all upcoming projects. She is booked solid for the next two months with tentative plans that stretch even beyond that. To her left are a stack of organized folders, each of them she has tailored for the congressional representatives in the three districts the Houston division covers. The Houston field division covers a lot. 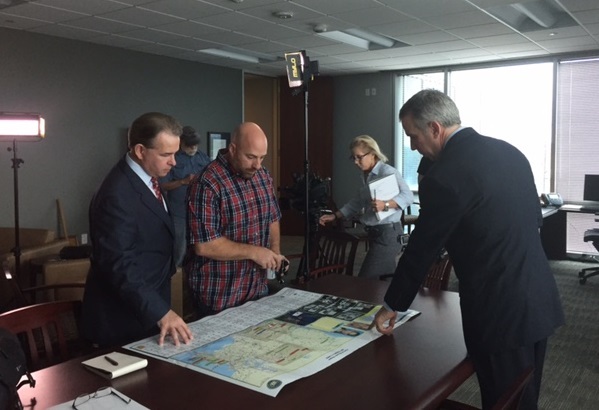 It is the largest of all ATF’s field division with 247 staff covering Texas from Houston to the border with Mexico. Annual visits with the 23 Congressional Representative’s covering south Texas requires a lot of windshield time. The day starts to wane towards sunset, but Nicole is still busy ticking off items on her day’s checklist. The visitors from HQ return from their lunch and she once again meets with them in her office, while multitasking with the impending class that the field division is hosting that same evening. She points to her calendar of upcoming events and goes over the priorities, mainly which outstanding items need to fall in place to ensure their success. She essentially is booked until late August, including quite a few trips around the field division coverage area. She glances at her watch that reads 5 p.m. and starts to finalize the plans for the event’s class, walking over the final plans with her project partner Rennie. She sends the interns to prepare the sponsored food and welcomes the twenty eager students who express excitement to hear about ATF’s participation in Operation Trojan Horse in Waco in 1993. A last minute adjustment arises; the agent who was supposed to present on crisis negotiation has an urgent family issue he can’t get out of, so without skipping a beat, Nicole prepares herself to present even though she is facilitating the ongoing class. It is close to 8 p.m. when Nicole wraps up her presentation. She has put in a full 13 hours on the job, but has already committed 17 hours to the day. She thanks the participants for their enthusiasm, continued commitment to ATF and its mission and escorts them to the door to see them off. She then starts to clean up ensuring that Bill Buford, the night’s speaker, is escorted to his hotel. She puts away the last of the coffee, throws away any remnants of the class and prepares for her 45 minute journey home where she can enjoy a glass of wine to close out the day. As she prepares to retire for the night, she chats with her husband about the day, talking about the future and upcoming races while playing with their dogs. She puts her glass away and starts for bed, ready to start another day in a few short hours. ATF Special Agent Nicole Strong, is ready for what lies ahead tomorrow.